Before investigators traced him to the borough of Queens in 1993, Mr. Palij had lived for decades in anonymity, a Polish-born draftsman in one of the most diverse neighborhoods of a city famous for its immigrant communities. He had arrived in the United States in 1949 in his 20s, after receiving a visa meant for people left homeless by World War II, according to Peter Black, the former chief historian for a Justice Department unit devoted to deporting former Nazis. A decade after investigators identified Mr. Palij, a federal judge stripped him of his American citizenship, based on the Justice Department’s findings that he had lied on his visa application and served as a Nazi guard in the concentration camp. A year later, a judge ordered him deported — but neither Poland nor Ukraine would agree to take him. The men who emigrated with Mr. Palij were also pursued by American officials: One died in Queens in 2007 with a case pending against him; the other was stripped of his citizenship in 2001, and died in Florida nine years later. After other former Nazis died or were deported, Mr. Palij became the last known Nazi war crimes suspect residing in the United States. On Holocaust Remembrance Day, for years, students and faculty members from Rambam Mesivta high school in Lawrence, N.Y., protested outside his house. The Trump administration made his deportation a priority, and in August 2018 announced that Germany would receive Mr. Palij. The same day, officials escorted him from his home, and he was flown to Münster, in northwestern Germany. He had no children, and his wife was reported deceased by The Associated Press. 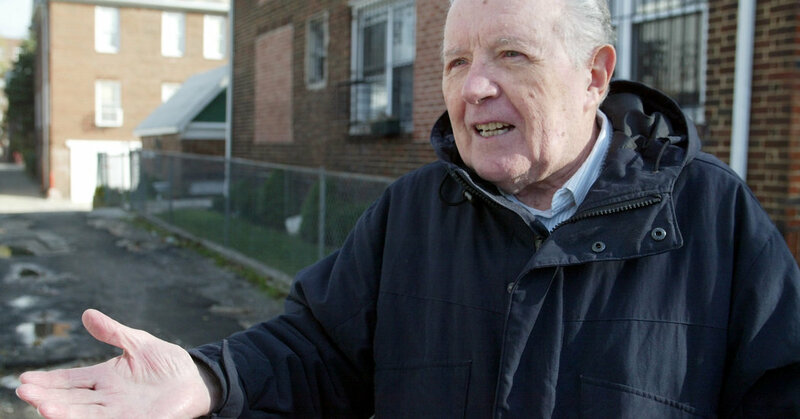 'Nazi, after, decades, Deported, dies, Former, Guard, Jakiw, Palij, U.S.